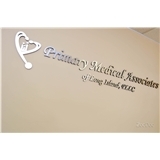 Primary Medical Associates of Long Island, PLLC (Plainview) - Book Appointment Online! We offer a wide variety of services for adult and adolescent patients. We offer a personalized attention, patient-centered, holistic approach to preventing and managing health issues. We look forward to caring for you and your family! I can't say enough good things about Dr. Pennock. She is awesome. For years when I had better insurance I had a different doctor who really didn't care about me. The wait was long and he was very short with me and never took the time to assess my needs. When I found Dr. Pennock on ZocDoc I had a whole different experience. From Donna and Jonathan at the front desk to Dr. Pennock, they are WONDERFUL! Dealing with Dr. Pennock's practice is a pleasure and I intend on staying with them for good! She really cares about her patients and is so caring, I highly recommend this practice. She was very nice and I felt she was on top of my problem.